Closed as a race track - open as GM testing facility. My father worked there in the 60's and still tells many stories. I have a photo of the group for 1 million miles with no accidents. A few Nextel cup cars like Gordon show up in the building next to mine for some tuning now and then. They also used to go to Warren Tech Center and use the chassis dyno. I watched them set up Kyle Pettys car in the mid 90s and then he won a couple of shows. The sister facility in Phoenix, called the Desert Proving Grounds, almost closed recently. The land value around it has skyrocketed and GM was going to Mexico. It is still open but with a skeleton crew. Harley Davison rents space there and last Feb. I heard a Busch or Nextel car on the track. They had to close it to us because we go clockwise when using the tracks and they go counterclockwise. I drive a race car just to unwind. ; ). The Milford Proving Grounds is not closed, its alive and well. Its where I work. My grandfather worked there from when it opened until he retired in 1965. He was a driver / mechanic (please do call em test driver) for Cadillac. During World War II it was a defense facility for tanks, armored personnel carriers, and other military vehicles made in the Arsenal of Democracy (aka Detroit). I remember the periodic family days when we got a ride around the track(s). 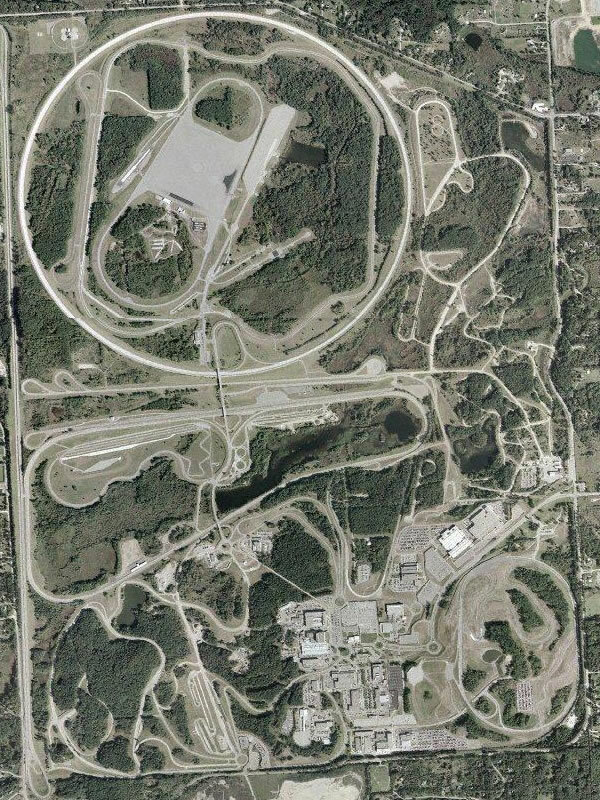 The Proving Grounds had the usual oval (dont recall the length), a strip of belgian blocks - a road of old paving stones that jolted the hell out of the car, skid pad, coasting hill - doing 80 a the bottom youd coast to 20 at the top, and vice versa, and other test facilities. 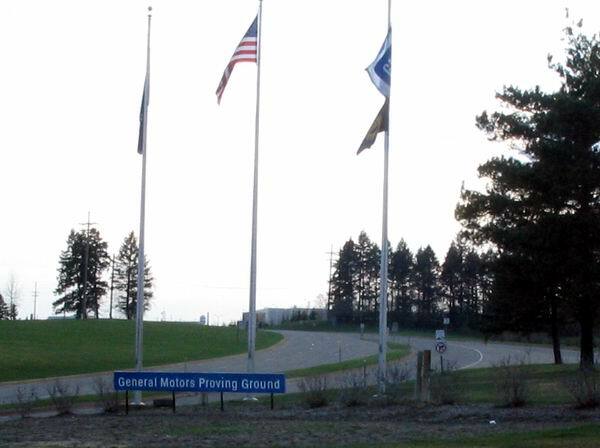 Its still there, though GM has another proving ground in Phoenix.